Galileo Racing is a horse racing tipster from the reputable Pro Betting Club stable. Coming into our trial, it had made over 300 points profit at a return on investment of over 25%, so we were very hopeful that this would turn out to be a winner. Sadly though, things didn’t quite work out as we had hoped and the trial finished with a loss of 13 points. As things go it is not the worst trial we have ever had and there is always the possibility they will get things back on track soon. So for the moment we give them a neutral rating and hopefully things will improve for Galileo Racing over the Autumn and beyond. Ease of use: Not bad. You have to log in to the Pro Betting Club site each day rather than having the tips sent to you by e-mail/text, which would be preferable. But there are usually just one or two bets per day, so the time involved is minimal. Availability of prices: There are no prices advised as such, which is very unusual for a horse racing tipster. Strike rate: The strike rate for the trial was 39%, which includes placed horses. Advised Betting Bank: No betting bank was advised, but we used a 100 point bank for the trial, which seemed plenty enough to take account of any losing runs. Subscription costs: Subscription costs are £39.50 per month or £89.50 per quarter. It’s been a slightly disappointing trial for the horse racing tipster Galileo Racing. A loss of 13 points was not what we were hoping for, but was not the worst outcome of a trial we have seen either. So a neutral verdict and a watching brief will be the order of the day for this one for the time being. Things have picked up a bit for Galileo Racing, a horse racing tipster from the Pro Betting Club stable. They have added 9 points of profit at advised prices since our last update a month ago, bringing them to -17 points for the trial overall. At Betfair SP they have added 6 points of profit since our last update to reach -24 points for the trial overall. We have just a couple of weeks left in our trial of Galileo Racing, so let’s hope for a strong run at the end to bring them into profit for the trial overall. Unfortunately it is been a slightly disappointing time for Galileo Racing. The service has lost 20 points at advised prices since our last update, meaning it is now 26 points down for the trial as a whole. At Betfair SP things are a little lower, at -30 points for the trial. We had high hopes for this one at the outset, so it is a shame it has not quite lived up to those hopes yet. Still, it is relatively early days in the trial as we have only had 41 bets so far, which is a fairly small number to go on. Anyway, let’s hope things have picked up for them by the time of our next update. It’s been an up and down start to our trial of Galileo Racing, who stated off strongly and went 13 points into profit quickly, but have had a tough run since then. So far for the trial they are 6 points down at early prices and 10 points down at Betfair SP. Interestingly they don’t actually include advised prices with their selections, so it is just a case of grabbing the best price you can when the tips are released. It is very early days in the trial, so plenty of time to get going, with Royal Ascot this week being a good starting point hopefully. 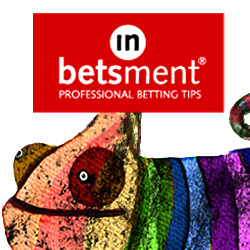 What do you look for in a horse racing tipster? Obviously the bottom line is that you want it to make you money. But beyond that, what are the important things for a service to have? For our next trial, we think we may have found a service that meets all these criteria – well at least four of them anyway. The service in question is called Galileo Racing and it comes from the respected Pro Betting Club. It has had 13 out of 14 winning months so far, so very good on that front. The strike rate is around 30%, which is very respectable for a racing service and means winners should be regular enough. The return on investment is apparently 25%, which over a 14 month period is very high indeed. There aren’t many tipsters that manage above a 20% ROI in the long term. Staking is sensible as well, with either a 2 point win bet or 1 point each way on every tip. So that just leaves the question of whether prices are obtainable. Well we will find out soon enough! Indeed, that is partly what reviewing these services is about, in addition to checking results are accurate and that they are practical to follow. So without further ado, we will get our trial of Galileo Racing underway and let’s hope it lives up to the pre-trial billing we have just given it! We will revert soon with our first update on how things are going. In the meantime you can check out Galileo Racing here.